Celebrate your students' first day in school by displaying their first-day pictures in these cute frames. Create an adorable bulletin board for Open House. 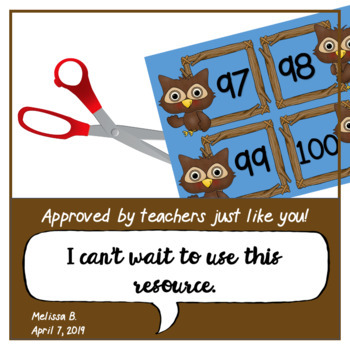 Use the number cards for classroom organization or math games. There are two frames on the page. Simply copy as many as you need on cardstock and cut them out. 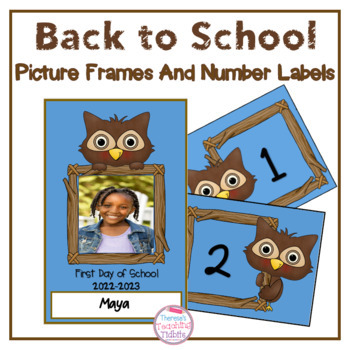 Then take your students' pictures on Day 1 and glue them to the frame. Write each child's name in the space at the bottom of the frame. Laminate for durability, and then display in your classroom. Send the keepsake home to parents - they will love it! Use the matching number labels to identify student cubbies or to create a student work display. Use the cards to count the first 100 days of school or to practice number patterns and multiples. 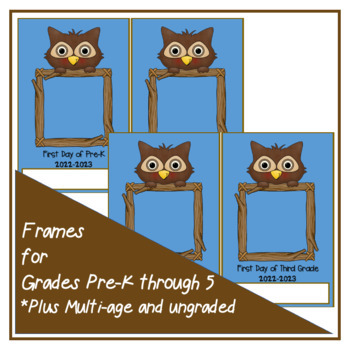 This packet includes picture frames for Pre-K, Kindergarten, First Grade, Second Grade, Third Grade, Fourth Grade, Fifth Grade, and Multiage. 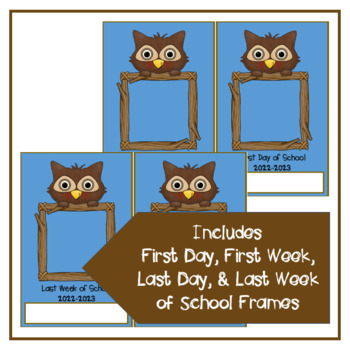 I've also included generic First Day of School, First Week of School, Last Day of School and Last Week of School frames. Labels for numbers 1 - 100 are included, as well as a blank set for your use. I've updated this product for the 2018-2019 school year.